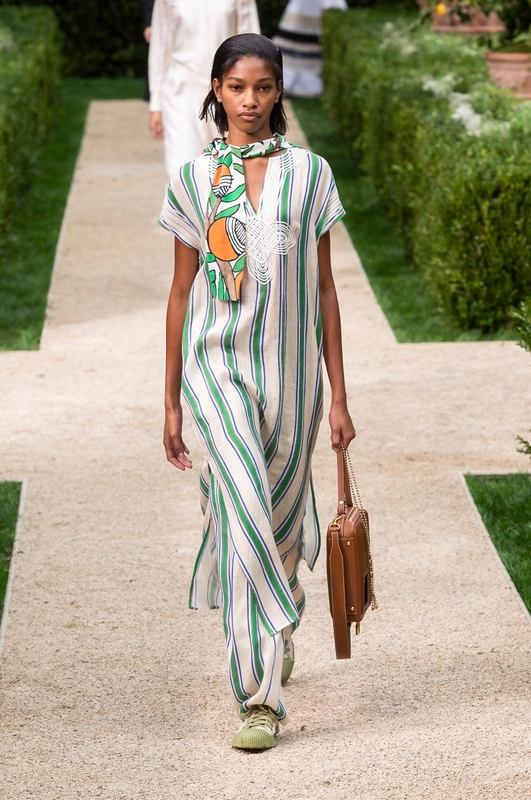 They say fortune favours the bold, and brave was certainly the word as Tory Burch once again presented her Spring Summer ‘19 in the outdoor garden terrace (complete with lemon trees) of the Cooper Hewitt Smithsonian Design Museum located on Manhattan’s Upper East Side despite the imminent threat of rain. Yet, it would take more than a bit of grey weather to hinder stylish guests from attending the much anticipated presentation. 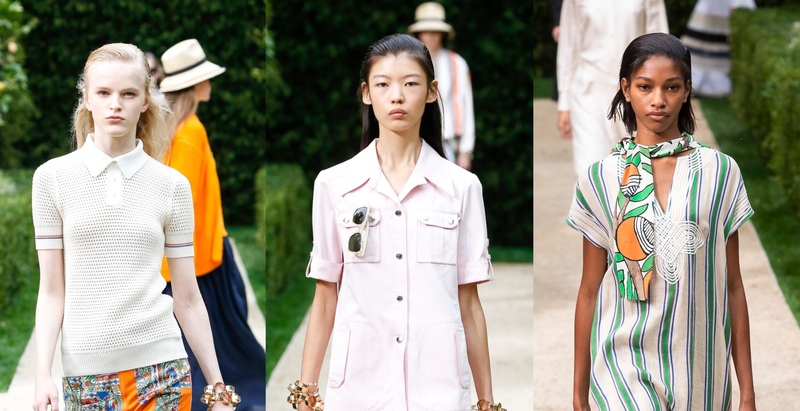 After all, if there was one designer proficient in dressing for the warm weather —it’d be Tory Burch—and her collection provided the antidote to the gloomiest of days. 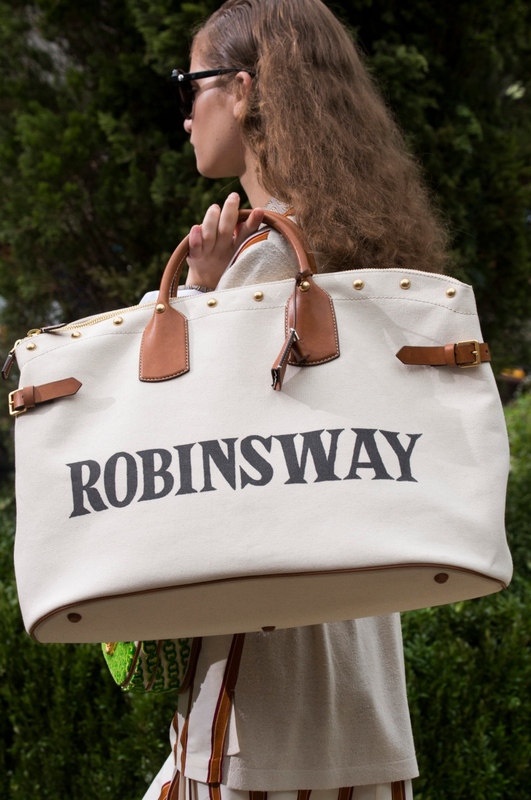 On each seat was a printed envelope which contained old photographs—one of a suave-looking Buddy in the ‘70s and the other of Reva and a young Burch that gave the first clue to what the collection will be about.“My parents, Buddy and Reva Robinson, were adventurers. Every summer, they boarded a steamer ship and spent six weeks sailing from Italy and Greece to Morocco and Spain,” says Burch. 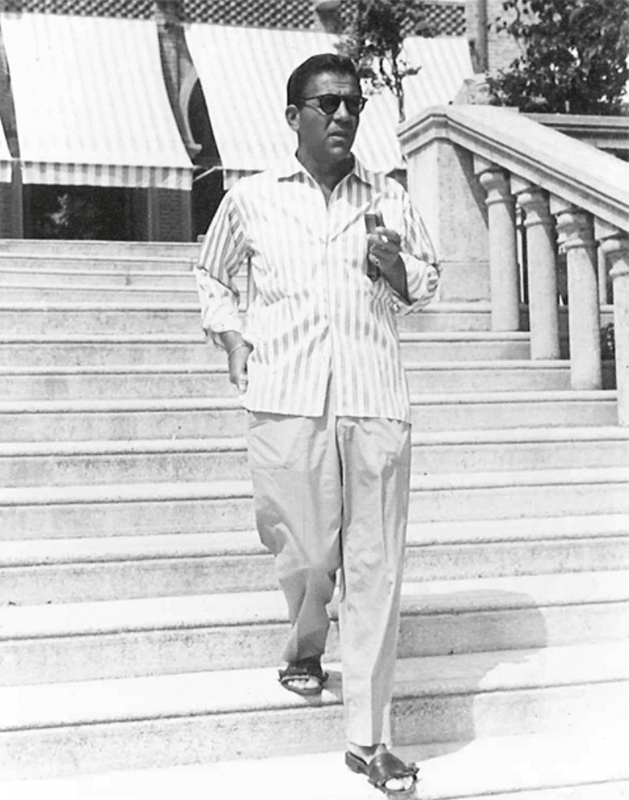 “Their wanderlust has been a constant inspiration for me.” read in the show-notes. On the runway, this was then translated through unique details that recalls their trips. The show set sail with ensembles that were fit for the sea. An off white knit jumper with a navy scarf detail paired with a breezy skirt that screamed “Hello,sailor!” to a slew of neutral looks that conjured up feminine silhouettes with bohemian ease into a series of breezy caftans, tulle dresses and floaty skirts. What followed was a riot of prints and patterns; from vibrant Mediterranean-inspired scarf motifs to nautical stripes, all tastefully done up in cool separates, loungy dresses and summer jackets. Burch successfully captured the brand’s classic elements that feel familiar, but at the same time entirely new. 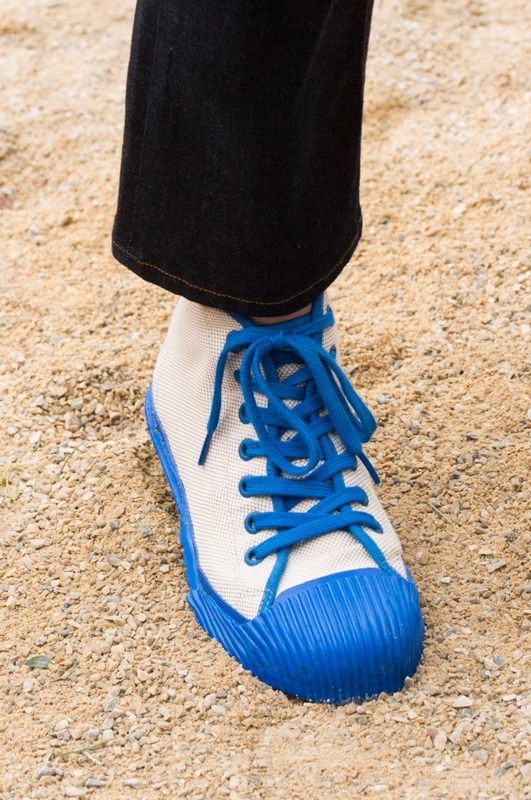 Complementing each look were equally comfortable and au courant footwear that elevated the looks as they made it down the gravel runway. 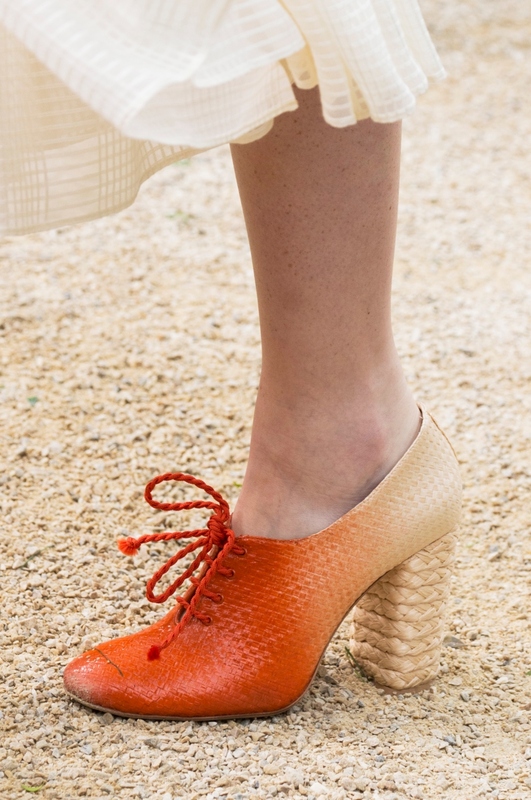 Models sported playful crayon-hued sneakers, ombre woven lace-up heels or cool espadrilles. But of course, no vacation would be complete without woven straw brimmed hat, and not to mention the large weekenders and suitcase-like purses that many of the models carried on their shoulder. 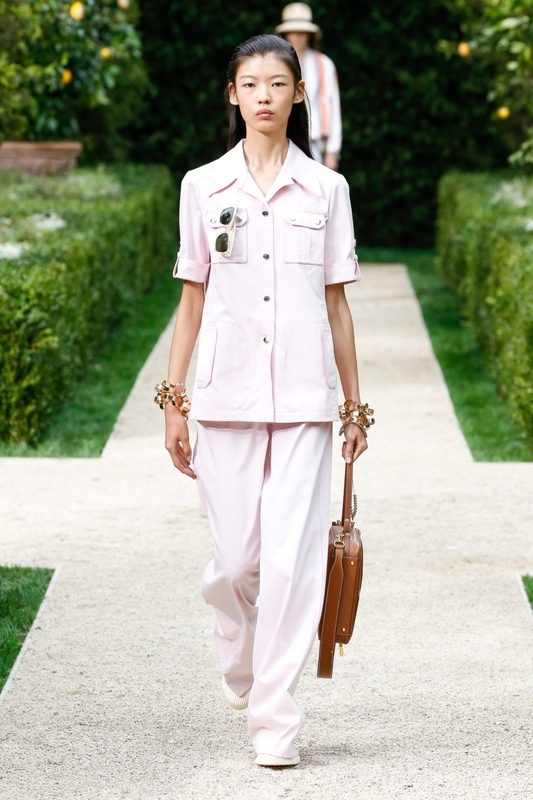 Tory Burch Spring Summer ‘19 collection was a perfect balance of travel and fantasy, aligned with the brand’s vision of the modern city dweller. After all, that’s the secret to Burch’s success is building the brand based on what she knew best—her own story. And if this collection proved anything, it would be that she is a wonderful storyteller. The actress and co-founder of chic workout brand Fabletics on life unplugged. Juliet Nicolson discovers a foodie haven in India.